Hello! 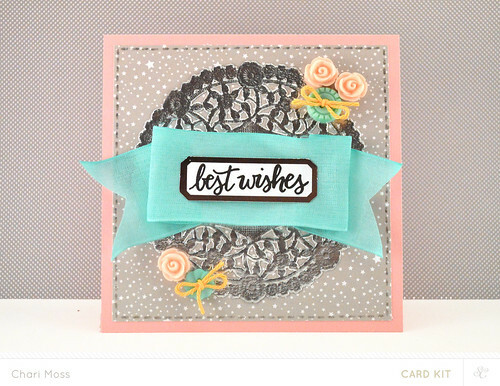 I'm back with a couple more projects using the July Studio Calico kits Penny Arcade and Pinball Add-on kit. 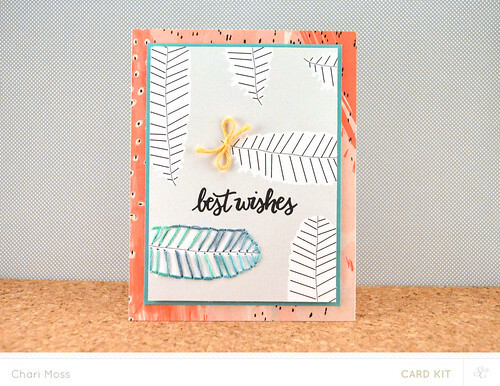 For this first card I cut the feather paper on a diagonal to create a panel with the feathers turned. 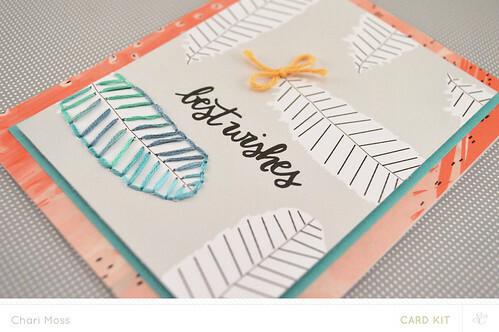 I pierced the paper using the feather design as a guide and then stitched with a variegated embroidery floss. 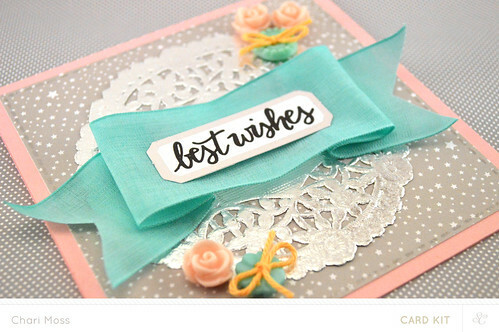 For my second card I folded the wide ribbon and adhered it on top of the silver doily to create a background for my sentiment. Be sure to pick up the Penny Arcade card kit and Pinball Add-on kit.